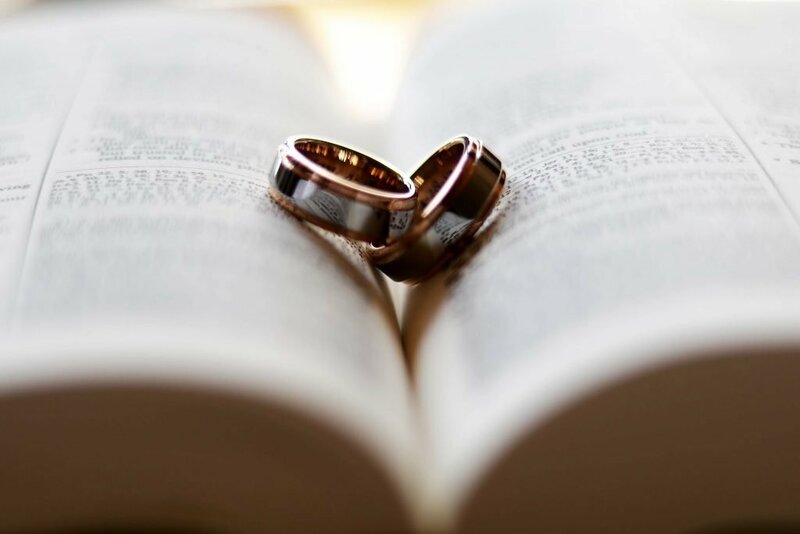 The United Church of Cookeville affirms marriage as a covenant of fidelity — a public, lifelong commitment between two people in a personal and sexual union. For us, this means more than the historical view between woman and man, but to acknowledge and welcome the diversity of gender and sexual identity. God, the source of all love, is active in all marriages, offering encouragement, forgiveness, healing, and blessing. Two spouses bear the primary responsibility for living out their vows and in recognizing God’s activity in their relationship. The church’s supportive role is expressed through community, prayer, worship and pastoral care. As such, we welcome any couple desiring to marry. We offer the rite of marriage regardless of sexual orientation or gender identity, and regardless of faith or membership in this or any faith community. If you are not a part of a faith community, we do ask that you attend the United Church of Cookeville a few times prior to your wedding so that you’ll know who we are and for what we stand. You’ll be welcomed with open hearts and we hope you find a church home here! Please contact us if you would like to meet with the pastor about the possibility of holding your wedding at the United Church or inviting our pastor to officiate your wedding. On inquiry about holding a wedding at the United Church, we will give you a full Building Use Policy statement that will answer other questions that you might have. The pastor of this church will officiate at all weddings unless other arrangements are approved by the pastor. If the couple wishes to invite another member of the clergy to participate in the service, the couple must first discuss this with the pastor and obtain approval. The UCC pastor will extend the invitation to participate to the other clergy. Payment to the pastor is the responsibility of the couple. Weddings are conducted at the discretion of the pastor of this church. Scheduling is based on the availability of the church building and with respect to the pastor’s schedule. The couple being married must obtain a marriage license. The marriage license should be given to the pastor no later than the rehearsal. A valid marriage license is required before a marriage can be performed. The church pianist will be used for all weddings unless the pianist is not available. If the pianist is not available, the couple may employ a different pianist. In special circumstances, the use of other musicians must be discussed and approved by the pastor and pianist of this church. Payment to the pianist is the responsibility of the couple. Our pastor requires that you meet with him once so that he can get to know you – or get to know you better, and begin planning your ceremony. A second session is then scheduled to finish plans for the ceremony and make sure that everything is in place. We also require that you have a rehearsal, usually the evening prior to the wedding. If you would like additional time with the pastor – to discuss issues in your relationship or anything else that’s important to you, that service is available. Just ask the pastor about fees and schedules. Decorations and flowers are the responsibility of the couple. All members of the wedding party shall respect the property and furnishings of the church; therefore, nothing should be used (such as nails, screws, pushpins, tape, etc.) that would result in residual damage to the church property. All candles used will be drip-less. Candles used in the reception/kitchen area of the church will be in enclosed containers. The use of rice and confetti are not permitted. You may have a champagne toast at your reception. All local and state laws must be observed. No other alcoholic beverages are permitted. Smoking and tobacco products are prohibited inside the church building. Smoking is allowed only outside the building, at least 25 feet away from doors. All smoking materials must be properly removed. Use of Church Sanctuary: $200.00. Includes: One hour of rehearsal time, access to the church two hours before the ceremony, ceremony, and one hour after the ceremony. The church seats approximately 75. With obstructed view overflow, the church can seat up to 85-95. Use of Downstairs Reception Area / Kitchen: $200.00. Includes 7 tables (30” X 72”) and 40 chairs. You will have access to this area during the rehearsal for decoration and set up, as well as two hours prior to the ceremony, and use of the space for three hours after the ceremony. Please note that there is a refrigerator and a microwave, but no stove. More time is available for an additional fee. No receptions will extend past 11:00 pm. Deposit Required: $200.00. Deposit is refundable 72 hours after the ceremony. Deposit is refundable only if all areas are left clean, undamaged, and trash is bagged and tied. A responsible member of the wedding party must complete a walk-through of the building with a designated agent of the church following the wedding or within 72 hours to determine eligibility for the return of deposit. Fees for the pastor and pianist will be agreed upon in advance and paid directly to them. There is no charge for the use of the church. Honorariums for the pastor and the pianist will be agreed upon in advance and paid directly to them.